The autopsy report details blunt injuries Agent Martinez suffered to the head and torso, resulting in fractures to his skull, ribs and clavicle. It concludes that Martinez died of his head injuries, though how he he got those injuries is still undetermined. So far officials have been unable to comment on the results of the autopsy. 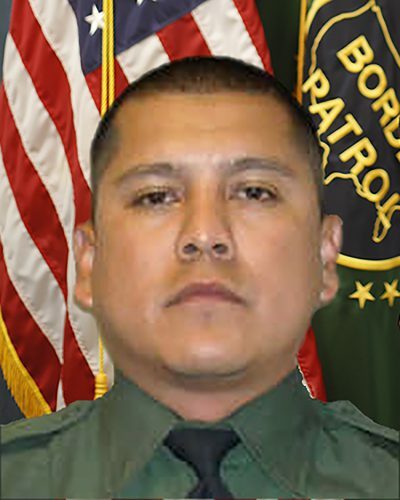 Border Patrol agent Rogelio Martinez died last November after sustaining multiple injuries while on patrol near Van Horn. 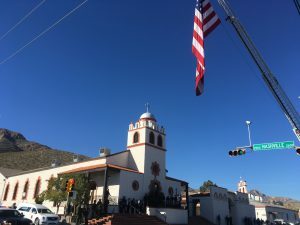 Martinez was taken to an El Paso hospital, where he died the following day. Following the incident, local law enforcement suggested Martinez and his partner may have been injured accidentally. But the National Border Patrol Council maintains the two were attacked. The FBI has been investigating all potential theories, and is expected to release a update on the investigation in the coming days. There has been little information to shed light on what caused Martinez’s death. His partner, who reportedly doesn’t remember what happened, was also injured. In early December 2017, federal documents revealed the FBI was closing in on two suspects. In the court documents, the FBI says a source gave federal agents information on two brothers that may have been involved in the death of agent Martinez. Since then, little information on the two suspects has been revealed. Officials say the investigation — which the FBI is pursuing as a “potential assault” — is ongoing. The agency is running digital billboards in four border states, seeking out drivers who passed through the Van Horn area the night both agents were injured. This entry was posted in KRTS News, KXWT News and tagged Border Patrol, Rogelio Martinez, Van Horn. Bookmark the permalink.